In the tour Sapa, Ham Rong Mountain is considered the attractive place for visiting. The mountain is not for conquering by the grandeur but for the romance. There is a wide flower garden in this mountain. Ham Rong garden in general is more than 150 ha in wide. It is included the flower garden, the peach orchard and some interesting tourist places for visiting. Related to the flower garden, you may find out the orchid world here with more than 190 types of orchids from the normal type to the precious ones. There is also here the path that leads you to the place called the Sky Gate. Along the road for conquering, there are some small rocks with different shapes that look so amazing. 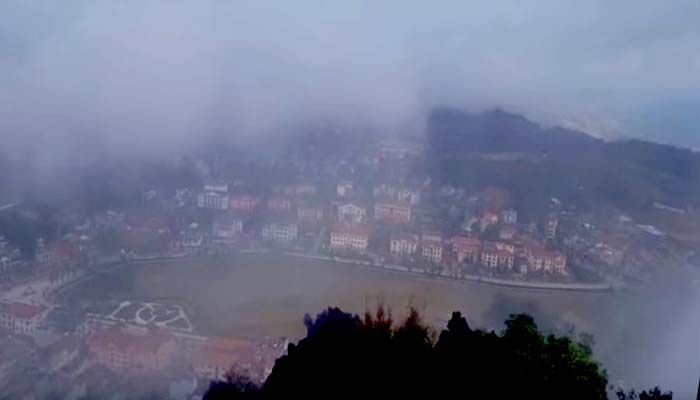 Ham Rong Mountain is considered one of the best place for viewing Sapa Town. From here you may see the valley, the town with the silent picture that owns the feature of the highland in the North. It is attractive in the beautiful space and great atmosphere. In each tour Sapa, Ham Rong Mountain is the obvious destination to visitors. The place is for viewing Sapa Town. It is also the place for camping maybe. Or the visitors who love the orchid world, may find out the incredible world of orchids for them. From the mountain named Ham Rong, visitors may take the great pictures in different aspects. The photos taken are the unforgettable moments related to the time when visitors explore this destination from the tour Sapa.